Sometimes the hardest part of getting a perfect tattoo is explaining to your tattoo artist exactly what design you want. 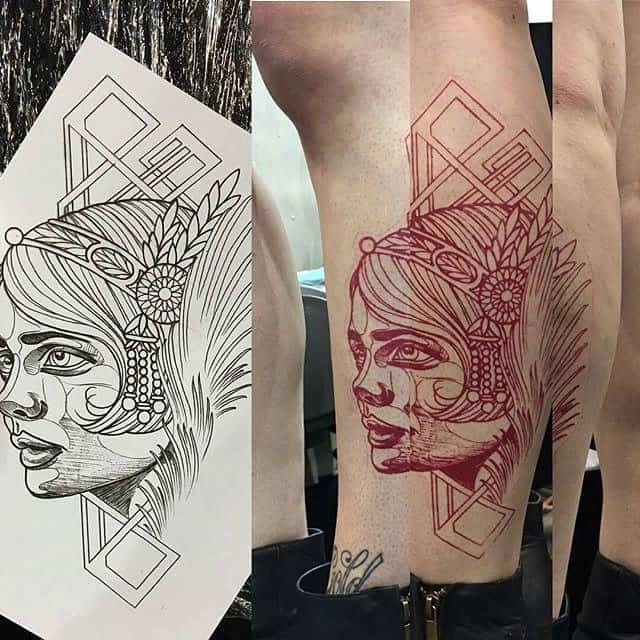 You could always sketch the design or even have the tattoo professional draw it for you. But the problem still remains how get that perfect design on to your skin. Using tattoo transfer paper solves that problem. 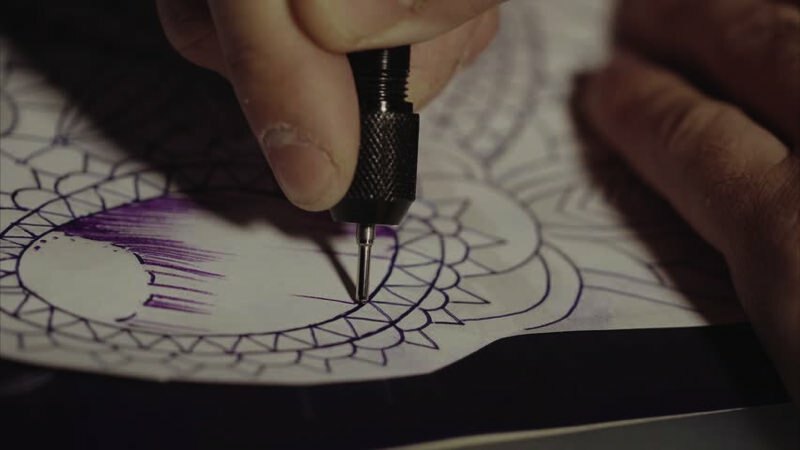 It’s basically carbon copy paper for tattoos which leaves the design outline on your skin. The effect is similar to those temporary “fake” tattoos you used to apply as a child. This short guide explains how to use tattoo transfer paper, and the difference between thermal and hectograph/freehand transfer papers. Manual transfer papers, known as hectograph or free hand transfer paper, work in the same way as carbon copy sheets. They are similar to the sheets used with manual typewriters or older dot matrix printers, to create multiple copies. Hectograph transfer paper usually has three sheets. The top sheet is where you manually draw your design. The center tissue sheet is removed before you begin. The bottom sheet is where the design is transferred to; it is carbon-like and is available in a choice of colors. Using a hectograph pencil to ensure quality artwork, you simply draw your design on to the top layer. When it has copied through to the bottom sheet, you cut out the design and place it over the area to be tattooed. The skin should be prepared with a solution, known as stencil stay, before the paper is then applied. Once properly aligned, wipe it repeatedly with a damp sponge. the transfer paper is then removed, and the design is left on the skin. This type of stencil paper is normally more cost effective and easier to re-do if you make a mistake. The availability of different colors can also make them easier to see on different skin tones. Thermal transfer papers typically contain four layers. First is a white layer for the design to be transferred onto. This is protected by a milky thin layer which is normally thrown away. It also has an ink layer, which is usually purple. Finally there is a bottom yellow layer which hold the sheets in place. Create your tattoo design in pencil on a regular sheet of white paper before sliding the design between the ink layer and the bottom yellow sheet. You then place the whole set of papers through a thermogenic transfer maker. You can sometimes find this machine in tattoo shops. A local print shop may also have one that you can use. Once you remove the top piece of paper, you should have an exact replica of your original design. Wash the area of skin where you intend to place the tattoo, with soapy water, before applying the carbon copy. Press down on the paper and smooth it out before removing, ensuring the design has completely transferred. You can find a Wiki how-to-guide on thermal tattoo transfer paper, by clicking here. 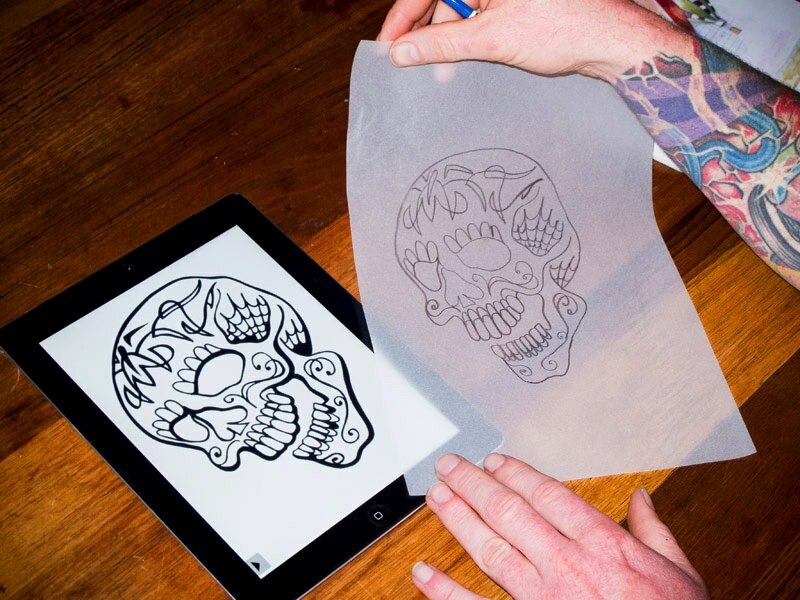 The ability to produce clearer images has made thermal transfer paper the standard in the tattoo industry. Until recently, they could only produce a dark purple outline, which couldn’t always be seen on darker skin tones. Some manufacturers, however, now produce red thermographic transfer paper, which is more visible. 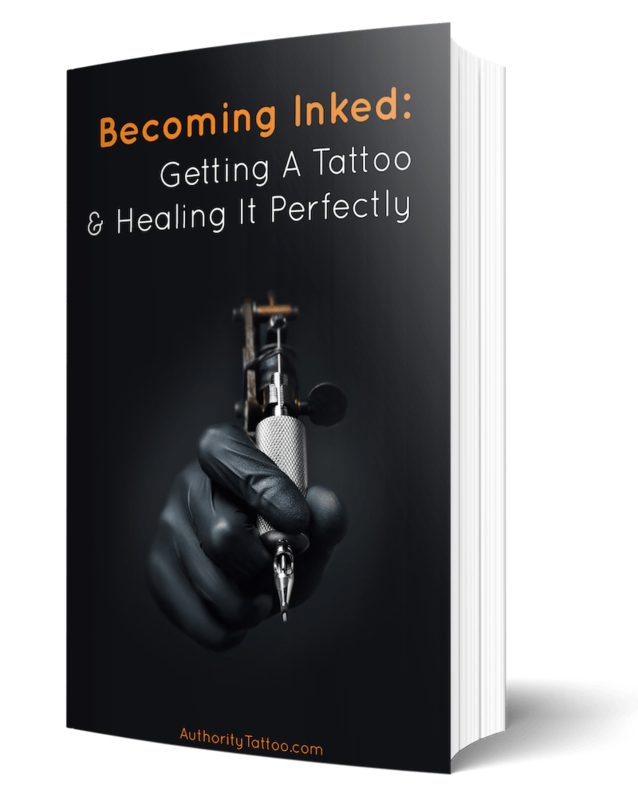 A recent survey on tattoo regrets found that 40 percent of the respondents didn’t like how their tattoo looked. Using tattoo transfer paper will help you get a tattoo which is more likely to closely match your original design. Your tattoo will be with you for decades to come, so you definitely want the design to be perfect. Whichever type of tattoo transfer paper you choose, the key to obtaining the best results is quality paper. This will enable you to produce a quality design which looks as good on skin as it does on paper.